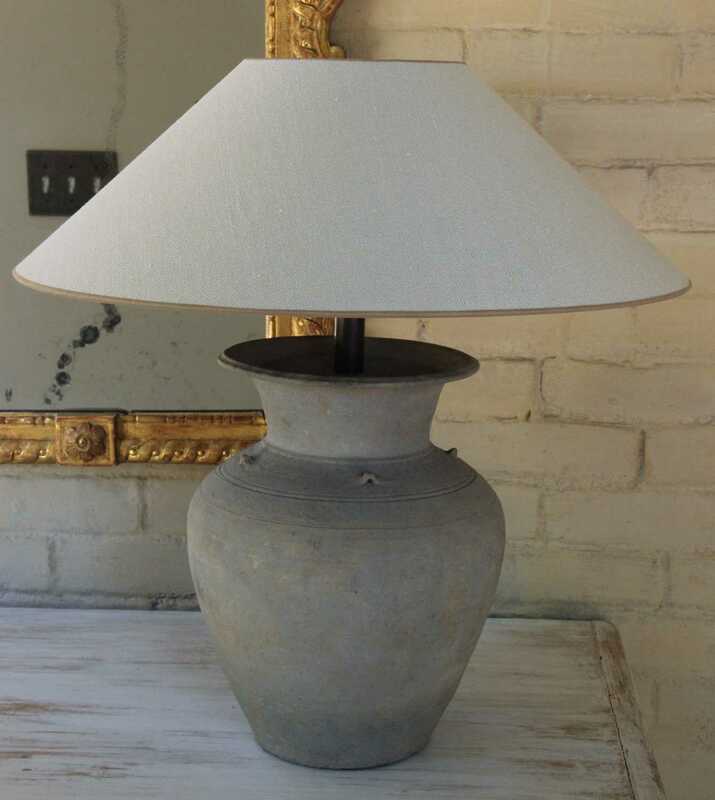 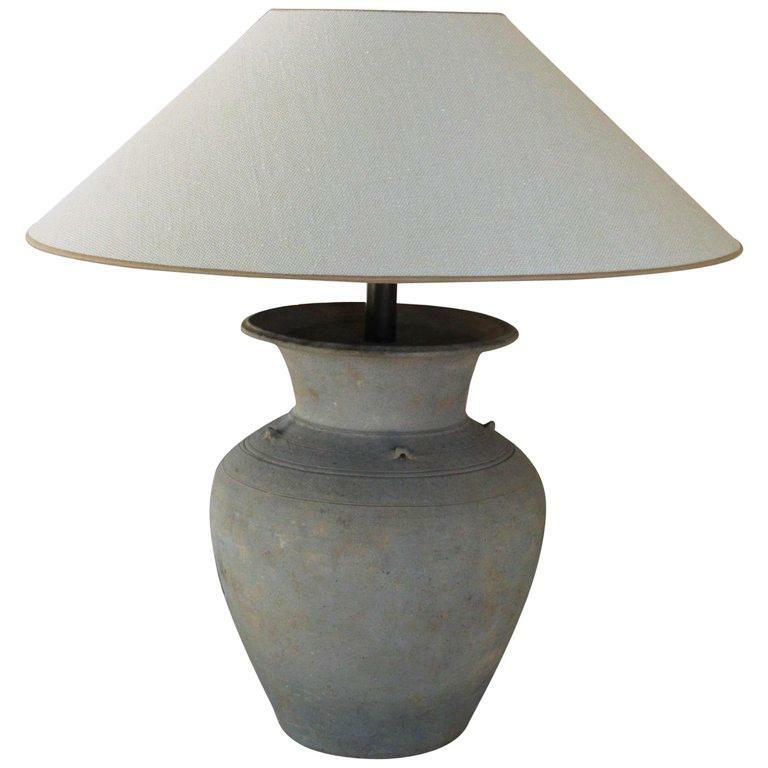 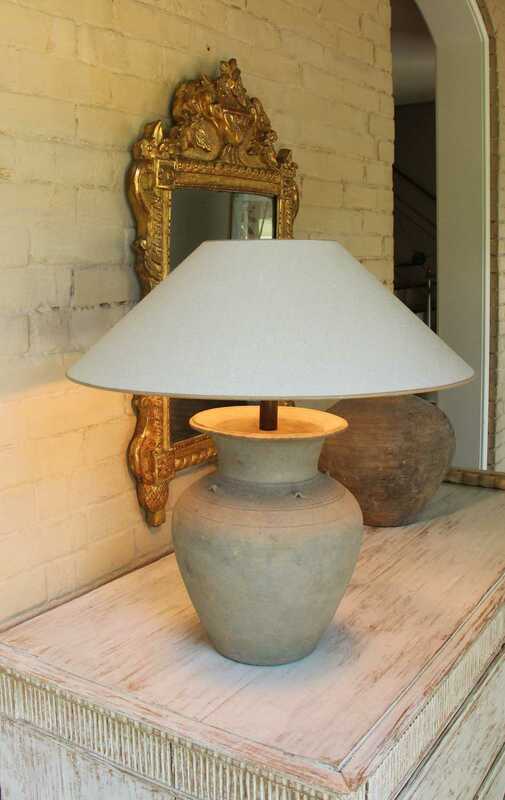 Unglazed Khmer Vase as Table Lamp | Maison & Co.
A Khmer unglazed terracotta jar that has been mounted as a table lamp. 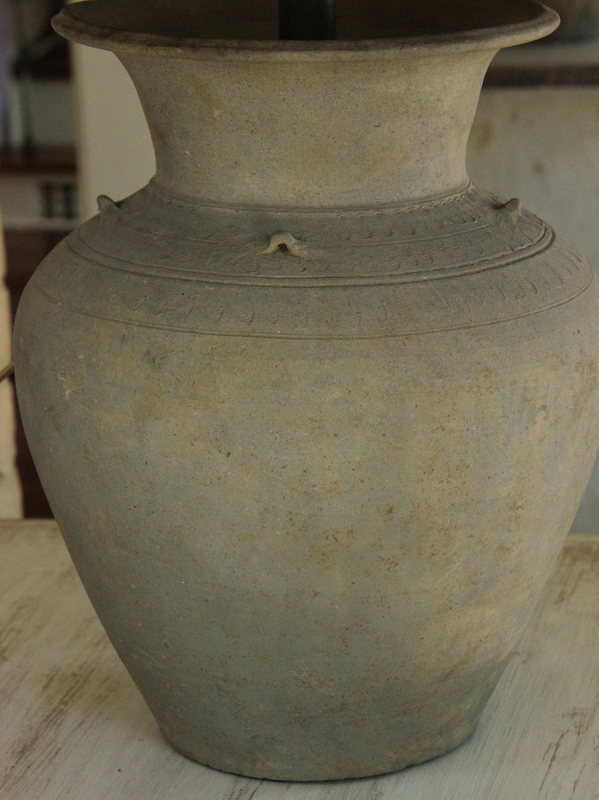 Unglazed pottery like this dates to the 16th century. 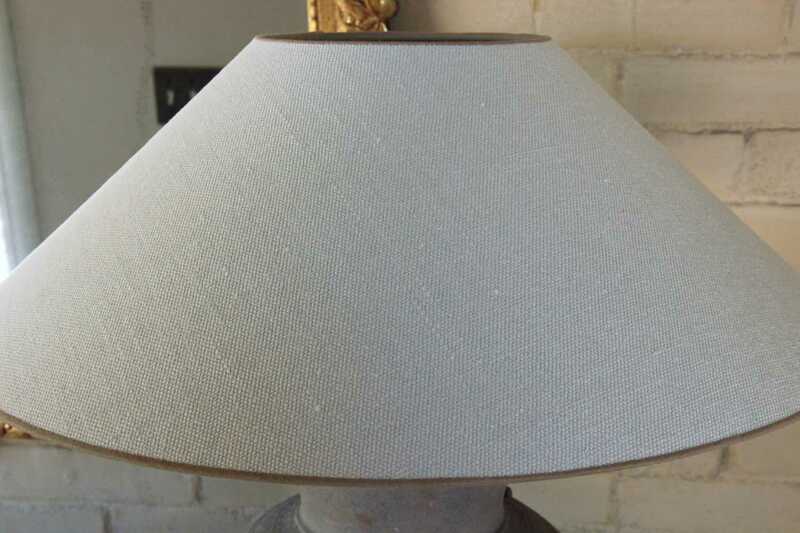 This lamp is wired for use in the U.S. 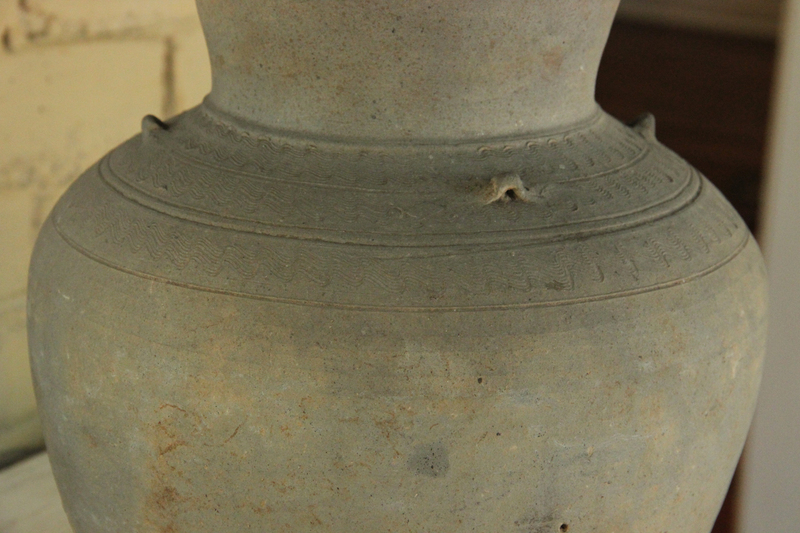 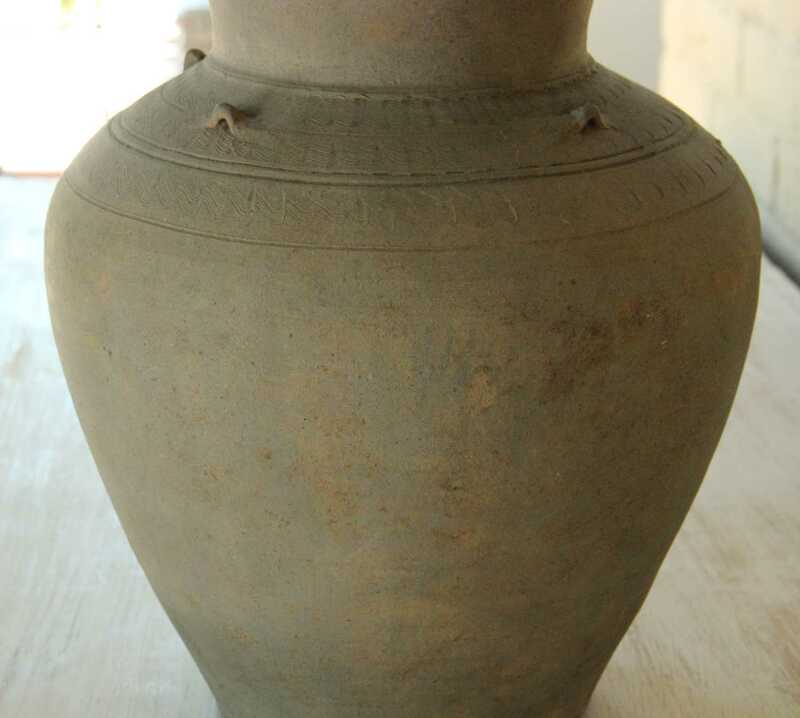 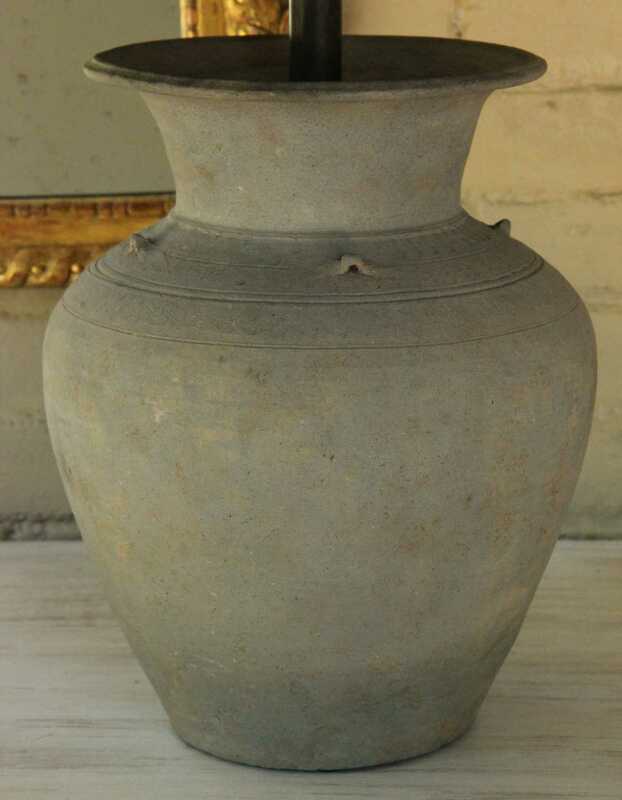 The vase or jar has a beautifully aged, gray patina with decorative incised rings around the top. 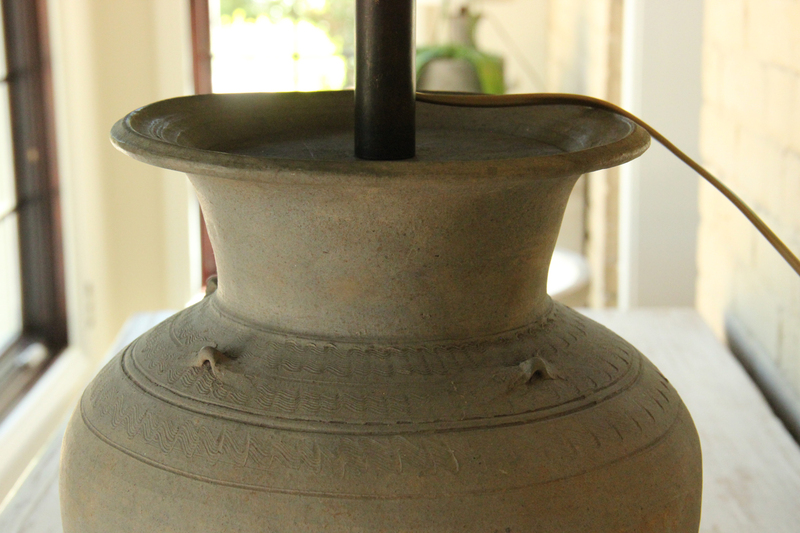 The electrical cable is installed at the base of the lamp pole, so not to damage the jar. 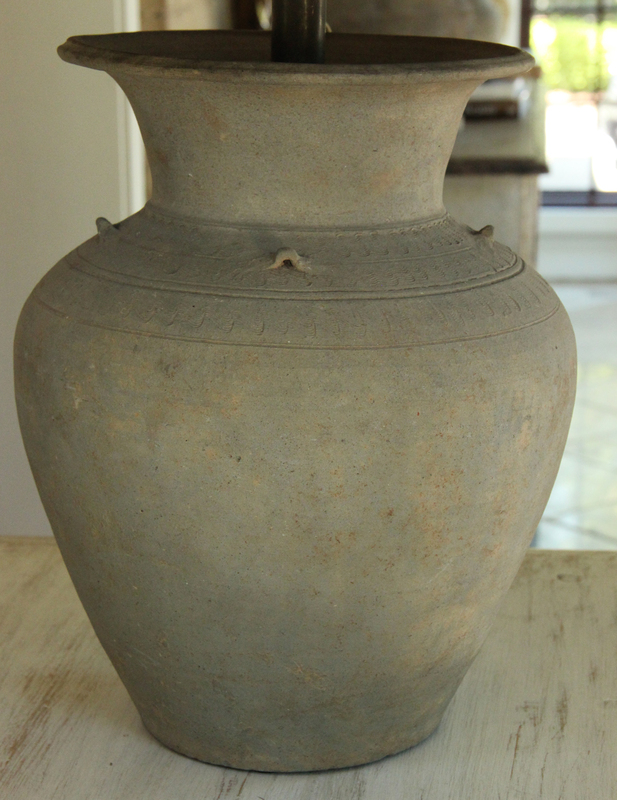 The vase dimensions are 13 inches high x 10.25 inches in diameter.